I've said it before (I think...) and I'll say it again- I love serving a really great bread or biscuit as a "side" instead of serving potatoes or rice. Everyone goes crazy for bread and biscuits but it can be too heavy sometimes to serve them along side another very starchy side. So, I like to serve them as the side instead. A great example of this theory applied in a menu would be a BBQ grilled Pork Loin, Wilted Lettuce Salad and White Cheddar Biscuits. It is a decadent meal, but not too over the top and your guests won't be passing on the bread basket. Place 2 cups of flour, the baking powder, and salt in the bowl of a mixer with the paddle attachment. Add butter and cheese and mix on low until it is a rough mixture. In a small measuring cup, combine the buttermilk and egg and beat lightly with a fork. Add the buttermilk mixture to the flour mixture and mix only until moistened. Dump out onto a well-floured board and knead lightly about 6 times to shape into a 2-3 inch high disk. 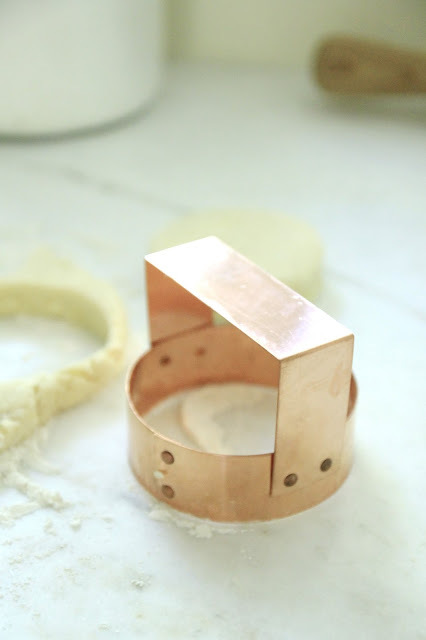 Using a round cutter, cut biscuits. I use my new Copper Biscuit Cutter, here. Place biscuits on a Baking Sheet lined with a Parchment Paper liner. Bake for 18-20 minutes, just until they begin to brown on top slightly. 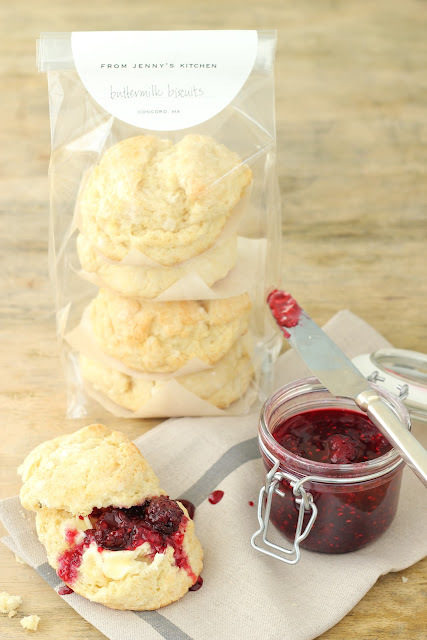 Homemade biscuits are such a treat... share them as gifts! Here is a post about how to package them for friends and neighbors. 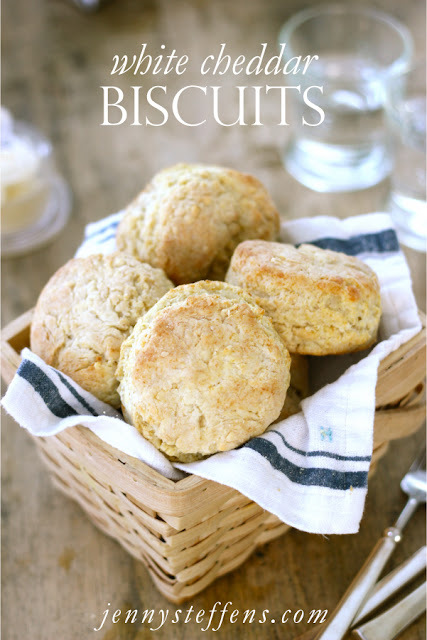 LOVE biscuits, will definitely use this at home and at school this fall with my middle schoolers! Ok, this one is tough because I'm trying not to eat carbs, but they look so darn good I may need to put that off till Monday, or Tuesday. Never start on a Monday right? I'm dying right now...so wishing I was eating one of these with my morning coffee. Could you start packaging and selling to your blog friends...love the idea!! These look wonderful! I will definitely be making these very soon. I have made these biscuits several times now. They are delicious!